Roman Retreat Mindfulness Evening Events, held at Roman Beauty, Chapel Allerton, LS7 2EB. These classes focus on helping you relax and unwind from your day, letting go of any mental, emotional or physical stress from your day. 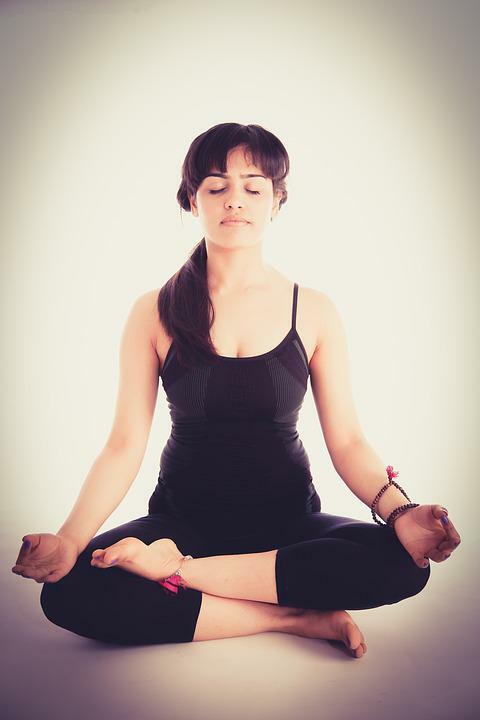 · Helps you feel more peaceful & uplifts your mood. · Helps take your body from fight or flight mode back to its restful zone. · Activates and calms the parasympathetic nervous system, which puts your body in a state of rest, which can speed up recovery and encourage the body to heal. · Reduces mental fatigue, overwhelm, and helps rest your mind from the daily over thinking ‘to do’ list in our minds. There is limited availability for each class, so it is recommended to book your space early. To book your space, Call/ Text: 07919346107. Roman Beauty / Roman Retreat, 141 Stainbeck Lane, Chapel Allerton, LS7 2EB. The Secret Number One Beauty Secret! Did you know, The Secret Number One Beauty Secret is self-care? When you feel happy inside and you smile from within; you radiate beauty. You radiate beauty from your eyes, your smile and your happy- glow! 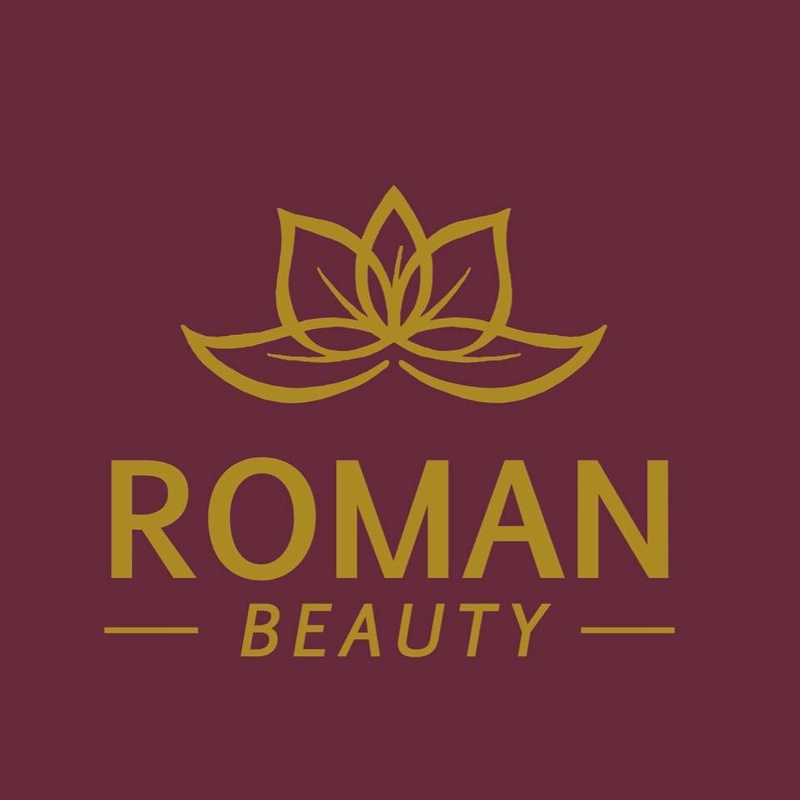 Here at Roman Beauty we offer all traditional beauty services, to help you look and feel your best, although we are massive on promoting your inner wellness/ inner happiness levels too, as we know how much keeping on top of your own general wellbeing can help you FEEL your best and LOOK your best on a day-to-day basis. This is why we incorporate lots of self-care & wellbeing services into our salon to run alongside all the traditional beauty services we offer. So from beauty and nails- to massage and holistic- to specialised tailored treatments - to meditations- mindfulness evenings- to weekend retreats, are aim is to facilitate you in FEELING and LOOKING your best; physically, mentally and emotionally. We love what we do and will only ever keep expanding and bringing you more and more to choose from☀️ the world is your oyster! To view more info on our upcoming MIND BODY SOUL May 2019 Retreat weekend- click the link below. For our MINDFULNESS EVENING Events, held at Roman Beauty Salon, Chapel Allerton, see info below. 4th- 6th May Bank Holiday! to let go of the old and welcome in the new! *Would like to review your life goals, and get clearer on what you want. New! Mindfulness Evening Events to help you relax and unwind from your day. Mindfulness can help decrease stress levels, anxiety & blood pressure, it can help you feel more peaceful & uplift your mood. Dates and Class Info will be posted in a few days time- so watch this space! Are you looking after your skin? And is your skin as healthy as it could be? Hello To My Valued Clients! If you asked someone what the largest organ of a person’s body is, they might go for the lungs, or the liver. In fact, it’s our skin. We might just see it as an outer casing, but its good health is as crucial to our wellbeing as keeping our internal organs in good working order. As well as being the largest organ of our bodies, it’s also the most exposed. Our skin is under constant environmental pressures and can be affected by diet, our moods, and even our choice of washing powder. The most exposed piece of skin is of course that on our face. With 43 muscles, our face is constantly in motion. It is exposed to cold winter winds and burning summer sun. So, it’s essential that we have a good skincare routine to counteract all that damage. What classes as “good” will depend on your individual skin type. Those with oily skin will have a different routine to those with sensitive skin. Your age will also affect what your skin requires to keep it healthy. The first step of any routine is going to be to cleanse. Try to avoid bar soap, even those that claim to be designed for faces, as they can be very drying for your skin. We recommend the Tropic Smoothing Cleanser with lemon & eucalyptus, to remove dirt and balance out the skin as well as being very gentle on the eyes whilst removing eye makeup. The right cleanser will get rid of not only make-up, but also dirt, oil, and other unpleasant substances that come into contact with our skin on a daily basis. If you’re wanting a routine that’s very simple and straightforward, you can move straight to moisturising after cleansing. However, we fully recommend incorporating a toner as this will close your pores after cleansing, to keep them tighly closed so more dirt cant fall in creating blackheads. A toner also tightens pores, making them less visable and balances out the PH level in the skin which is the protective barrier. We recomend the Tropic Vitamin Toner as it is full of vitamins which you spritz on to your face, and then they are tightly locked in to your skin, penetrating down in to the 5 skin layers. Exfoliators should be used once a week to remove dead skin cells, revealing your newer skin to give a brighter healthier complexion. be careful not to over use your exfoliant and opt for a medium grain as some can be quite abrasive, making the skin feel sensitive or sore. We recommend the Tropic Skin Smooth which also has essential oils to leave the skin feeling nourished and moisturised. Moisturising is key for deep hydration and protection, and especially needed for those with dry skin, but even those of us with oily or combination skin can benefit from applying moisturiser at the end of our skincare routine. We recommend Tropic Skin Feast, which is deeply nourishing, hydrating, and with vitamin C to protect and repair the skin from sun damage and daily pollution damage. DID YOU KNOW? Many high street products can contain toxic chemicals and parabens which can actually dry out your skin, increase oil production and/or cause spots. This is why, at Roman Beauty we only stock and use Tropic products for our Facial treatments as they are 100% naturally derived with no toxic chemicals or parabens, they only include plant based preservatives. 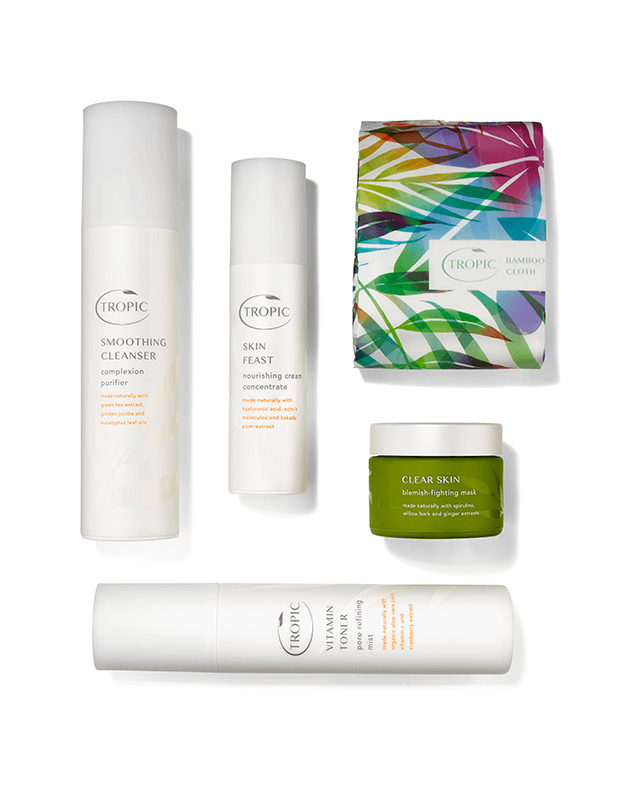 The best thing with Tropic products is that no matter what you have going on with your skin (excess oil, spots, dryness, eczema) the main products; cleanser, toner, exfoliator & day cream- are a one size fits all, as they have been created to balance out everything going on in the skin, to clear up problematic areas and balance out moisture and oil levels. For extremely problematic skin, there is also a range of night serums to really target these areas and provide significant results! We offer a complimentary skin assessment to give advice on your skin problem and how we can help improve your skin condition. If you experience sensitivity or an allergic reaction to a new product range, It’s best to start off with just one product at a time and make sure it's ok with your skin before introducing the next product so you can eliminate which products are causing a reaction. If you try three brand new products on your face all in one go and get a terrible rash, it will be harder to see which one is causing an adverse reaction. Lots of us like to wear make-up on a regular basis. If you can find a foundation that also protects your skin from harmful UV radiation, that’s going to double the benefit for you. Not only will you be feeling confident that your skin looks flawless, you’ll also be giving it added protection when you go out. Both the Tropic Mineral Powders and Beauty Booster Cream Foundations have SPF 35, with the beauty booster also protecting your skin from artificial lighting (yes artificial lights age the skin too!) you can book a complimentary colour match in salon. If you don’t have a skincare routine or are looking to change the one you have, please get in touch form a complimentary skin assessment! The ABC Skincare Collection is only £54 and contains the smoothing cleanser, a bamboo face cloth, vitamin rich toner, hydrating skin feast daycream, and a choice of a free face mask (Clear Skin for absorbing excess oil, clearing up blackheads and spots as well as tightening pores. , Deep Hydration to completely soften, hydrate and moisturise the skin , orFace Lift to lift and firm). Of course, another great way to care for your skin is to book yourself in for a Roman Beauty Facial. Which is also a good way of trying the products out first! We offer thirty-minute or sixty-minute treatments, starting from just £35- £60 for Pay-As-You-Go clients, reduced to £30-£55 for Roman Beauty Members. For further info, a complimentary skin assessment/ colour match or If you are interested in becoming a Roman Beauty, Silver, Gold or platinum member, please call us on 07919346107 or email us at info@romanbeauty.co.uk for further information. While Christmas is a wonderful time to reconnect with family and friends, all the traditions we indulge in can have negative implications for our bodies. It’s great to gather round and watch family films on the TV, but then we miss out on necessary exercise. Lots of people find champagne and other celebratory drinks essential for New Year’s Eve celebrations, but all that can put a strain on your liver, especially after all that Christmas pudding. But the strain put on your body over Christmas can be eased in January by eating and drinking the right foods, as well as adding in some exercise and a massage or two into your routine. Even if you don’t want to incorporate a complete change of diet, there are a few ways to ensure you can replenish your body’s energy. For example, smoothies can be the perfect way to get extra nutrients and an energy boost without changing any of your other eating habits. Look at any fresh juice aisle in a supermarket and you can find detox smoothies. These can incorporate vegetables and superfoods as well as fruit. If you fancy making your own, there are plenty of recipes on the internet. The BBC Good Food website has 28 recipes just to get you started! · ¼ of the jug with fresh apple juice and make the rest up with water to the max line. · Blend in your smoothie maker & serve! Also, having some hot water infused with lemon in place of a daily cup of tea or coffee, will help invigorate your digestive system. Green tea is also a good substitute, especially with a spoonful of Manuka honey. · Handful of fresh fruit or a healthy snack bar such as from the 'Nakd' brand. Beyond your diet there are other ways to compensate for the effects of Christmas. If you don’t already have an exercise routine, you could start with a few gentle walks, increasing the time and distance over the course of January and February. If you fancy something a bit more energetic, then many people find the Couch to 5k programme very helpful to increase their fitness. If it’s too cold to venture outside, or if you’d prefer a gentler form of exercise, then yoga or pilates classes could be just right for you. We run a yoga class every Thursday from 12.30pm to 1.30pm and we still have taster classes left for anyone who wants to sign up. We hope to run more sessions and different classes throughout 2019. To be kept up to date with any new classes we start offering; text ‘Retreat’ to 07919346107 to be added to our Roman Retreat database. Of course, working off those calories and eating healthily are excellent ways to get you back to peak fitness, but don’t forget that you need to rest and relax as much as well. A massage can also be a good way for your body to get rid of toxins. A massage at Roman Beauty salon will help move toxins from your muscles and other parts of your body to your lymph nodes, aiding your body in breaking them down and getting rid of them. If you would like to book an appointment, you can do so by calling 07919 346107 or booking directly though our website, by going to the treatment you want and clicking ‘book now’. Happy New Year! Let's make 2019 the most happiest, healthiest year yet! Please note that Roman Beauty does not endorse these third-party websites, and if you have an underlying condition, you would be best to seek medical advice before commencing on an exercise regime, even a gentle one. Seeking inner peace and calm? Seeking inner peace and calm? An Introduction to Mindfulness Workshop: A morning of guided mindfulness practices to reduce stress and promote a peaceful mind and body connection. On Saturday 30th May, I will be facilitating a workshop on mindfulness for the beginner. This is an exciting partnership with Laura Romans of Roman Beauty, Alwoodley. Laura will be hosting the morning, and I will guide and support participants to experience mindfulness practice. So, in case you are new to mindfulness, I thought I would share with you the basics of mindfulness and perhaps answer your questions. In its simplest form, mindfulness is a way to connect with yourself by watching your breath as you breathe. Through watching your breathing, you can live more in the present; rather than find that you are constantly thinking about your problems, what has happened in the past or what might happen in the future. This ‘here and now’ presence can lead to less anxiety and low mood which you may have been experiencing as a result of feeling troubled by these thoughts of the past and future. This is called living in ‘the present moment’. You may find that you begin to feel more accepting of yourself and what you experience, although this takes some time to develop. It is a simple practice which offers you the opportunity for greater insight into yourself. Lots of people practice mindfulness for different reasons. Some people say it offers them some peace of mind and calmness which they find very helpful in their lives. Some people find that they are able to work out what is on their minds from sitting and practising mindfulness, so they know more clearly what’s troubling them. It can also be used in therapy to help people explore their issues or find ways to live in a more balanced and positive way. So, come and experience some beginners’ mindfulness! If you would like to see what mindfulness might offer you, book a place on the Introduction to Mindfulness workshop on Saturday 30th May 10am-12.30pm at Roman Beauty, Alwoodley, Leeds. You will be fully guided and supported through some beginners’ mindfulness practices, in the comfort of Laura’s home based salon.